In the past, marketing was all about pushing information on your audience, used as a one way line of communication between company and audience. But now, social media and the digital sphere have transformed marketing and changed how companies interact with their audience. Social media is an equalizer, giving a voice to everyone and creating a two way line of communication between brands and customers by allowing potential customers to engage with companies. For businesses, social platforms provide an opportunity to build relationships and engage with their audience. Social media has become a necessary marketing tool for businesses, including commercial real estate groups. With social media, CRE groups can establish themselves as trustworthy, quality-driven industry leaders. By reaching and engaging with new customers, companies can convert social media interest to sales. So where does building a strong social media presence start? The first step is to create a consistent image and brand across social platforms like Facebook, Twitter, LinkedIn, and Instagram. Your brand should appear professional and personable to attract followers and potential customers. Once you have established your brand’s image, you can begin to post content that will demonstrate your industry expertise and engage your audience. Content may include images of properties, industry articles, local and company news, as well as company and individual updates to add a personal element to your and your customers’ online relationship. Blogs are another great place to showcase your industry knowledge and expertise. Ideally social content will boost your company’s visibility online and help you build and foster relationships with your audience, ultimately leading to sales and lasting business relationships. In addition to posting content and social marketing campaigns, engaging with customers and followers is a necessary element of social media marketing. It’s not just about inundating your followers with information, but building relationships that create a community around your brand. Maintaining relationships and customer trust is essential to your company’s social media presence. By creating a strong social media presence and producing content that establishes your CRE firm as an industry expert, you can build top of mind awareness with followers and convert online interest to sales. When utilized correctly, social media can be an invaluable tool for your CRE firm, so start sharing! The Charleston area has seen major population and development growth over the past few years, and its outlying towns are no exception. As the peninsula fills up, residents are spreading out with businesses following. Mount Pleasant in particular has seen significant growth. In May of 2016, a report from the US Census Bureau ranked Mount Pleasant as the 10th fastest growing city in the United States. Mount Pleasant’s significant growth over the last decade has caught the attention of business owners and developers, becoming a hotspot for residential and commercial projects alike. Development is spreading in all directions and reaching as far as Awendaw to the north. Along with substantial residential growth, Mount Pleasant is bursting with opportunities for retailers and developers. Plans for multiple Mount Pleasant area hotels are underway and seeking approval, while construction for a few new hotels have already begun. Proposals for hotels in the area are increasing as visitors look for alternatives to downtown Charleston and hotels closer to area beaches. Construction is underway for a 92-room Hyatt Place in Mount Pleasant Towne Centre, a shopping and lifestyle center. The Hyatt Place will join a multitude of retail spots, restaurants, and the Palmetto Grande movie theatre. 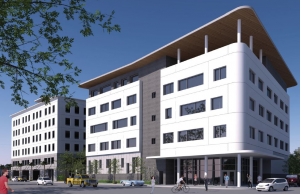 Just across Highway 17 from Town Centre, construction has begun on Indigo Square, a luxury apartment complex that will also house a 123-room hotel as well as retail and restaurant spaces on its 38 acres. Mount Pleasant is also seeing developments in office space from the base of the Arthur Ravenel Jr. Bridge spreading to north Mount Pleasant. 111 Coleman was 100% pre-leased before its opening at the beginning of the year, and areas like Wando Park and Carolina Park are ripe with opportunities for space. Recent approvals include Pepper Tract, Bridgeside II, Earls Court, and others as mixed-use developments that will also offer office space. Office, hotel, and retail buildings are also planned for a former Miller Cadillac site just minutes from the Ravenel Bridge and downtown Charleston. Mount Pleasant is seeing an upswing in construction of multi-use developments that include residential, retail, and office space. The Boulevard on Coleman Blvd. is home to luxury apartments, retail, and national restaurant chain BurgerFi. Opportunities near neighborhood developments like Carolina Park and Gregorie Ferry Landing are also opening as people move further north. Staple shopping centers like Belle Hall, Mount Pleasant Town Centre, and the Market at Oakland farther up Highway 17 remain predominant in the area. These are just a few of the commercial opportunities available in the Mount Pleasant area, with many more under construction or recently approved. However, a recent vote by the Mount Pleasant Town Council to increase impact fees for both residential and commercial developers may turn developers away from the area in the future. Plans approved before the ordinance will not be subject to the new fee. It is unclear how the council’s decision will affect the future of development in the area, so take advantage of Mount Pleasant’s growth while you still can. The United States is full of franchises, from restaurants and hotels to gyms and hair salons. You can count on franchises like McDonald’s to always be expanding, but not all franchises and industries can boast the same kind of growth. Across the country and throughout the Lowcountry, certain sectors are trending and setting themselves apart in the franchising world. Fast Casual is one of the top growing sectors in the restaurant industry, including establishments such as Chipotle, Jersey Mike’s, MOD Pizza, and many more. Consumers love the convenience as well as the “build your own concept,” customizing their food to exactly what they want. These restaurants offer healthy, fast options in lieu of fast food drive-thrus, so consumers can have the convenience without the drive-thru guilt. Food delivery services are becoming increasingly popular with more franchises partnering with third-party apps to offer delivery services to their customers. Companies like Postmates are taking the trend even further, delivering everything from groceries to office supplies right to your door. While this trend hasn’t quite hit the Lowcountry in a big way, the concept is sure to reach our doors soon. Today, people are holding their entire lives on their smartphones. We use technology for banking, socialization, time management, and more. Our technology simplifies our lives, and our reliance on our devices is only growing. Tech businesses offering cybersecurity services to software and apps are expanding and spreading their reach across the U.S. These days, fitness is in. From large gyms like Crunch Fitness or Planet Fitness that attract multitudes of people to smaller niche gyms like SoulCycle or Orangetheory that gather distinct followings, health and fitness franchises are seeing growth throughout the country. While these trends are sweeping the nation, Charleston has a few franchising trends of its own. The area has become a hub for technology, surpassing even some of the country’s biggest tech cities when it comes to tech growth. Manufacturing is also a top franchising industry in Charleston, boasting the likes of Boeing, Mercedes, and Volvo. Charleston has always been a popular tourist destination, and its popularity has only grown in recent years. As a result, the Holy City has seen major growth in hospitality franchises. These days, consumers are relying less on material possessions and products for happiness and more on the value of personal experiences. Charleston boutique hotels like the Dewberry, the Spectator, and the Grand Bohemian are offering the kinds of experiences consumers crave, and thus attracting developers’ attention. Franchises are a staple of business in the United States. Consumers trust franchises as reliable and familiar, and will continue to rely on them for their goods and services. Trends may come and go, but franchises are here to stay. The lease is signed, the paperwork is finished, and it’s time to move into your new office space. After months of searching and negotiations, you can finally call the perfect space your own. You may think the hard part is over, but the move-in process can go awry if not planned properly. Here are a few planning and preparation tips for a flawless move into your new space, from furniture to security and technology. You’ll need at least a few months to properly plan and hash out the logistics of the move. Measurements need to be taken, furniture ordered, inspections conducted, and more. The longer you have to plan and execute the many aspects of your move, the easier it will be when the time to enter the office comes. New furniture needs to be ordered well before move-in day, so don’t leave this task until the last minute. Be sure to order from trusted vendors – you don’t want to end up with furniture that has a missing screw or with complicated assembly you must perform yourself. During this phase of the move, you also need to think about how you will utilize your new office space. Think about the type of office environment you want when deciding on desk layout and furniture selection. You want to maximize the space to best fit your company needs. And even the most collaborative spaces need ways to reduce office noise. Find ways to reduce noise in the office so that your employees can work in a distraction-free environment. The softer the furnishings, the quieter the space. When moving furniture in, whether new or from your old space, hire a moving company to do your heavy lifting. While you may think it would save money to do it yourself or with your team, an accident or injury could be very costly for your organization. The scope of your security measures may be tailored to your business and its needs, but no matter what area you work in, some level of office security is necessary. And that security must be in place before move in. Hire security experts (if you do not have a security division) to survey the space and identify necessary security measures, from employee access levels to areas that may need heightened security, like your server room. If you’re relocating, maintain security at your old space until you have officially moved from the premises. Technology is essential to most organizations these days, so your tech should be a priority during your move. If you have an IT team, have them conduct preliminary checks of the space to make sure the new office fits all of your tech needs, from enough outlets to IT infrastructure and network connections. This may also be a good time for your team to update your network and computer systems to fit with the most current industry best practices. If your organization does not have its own IT team, research and find professionals who can help make your tech move. While you should not rely on your team for the heavy lifting and moving required for relocation, you do want to delegate other moving tasks around the office to help the process. Task team members with certain duties and chores, whether it’s organizing aspects of the move specific to their department or making sure that all desks have been cleared out. If your team is relocating to a new space, it’s also a good time to take inventory and purge any unnecessary office or personal items. Encourage employees not to bring any items they will not need to the new office to avoid clutter. There are other aspects of the move you need to be sure have been completed by move-in day. Issue a change of address so that clients do not send important documents or show up for a meeting at the old location, and to vendors so that your deliveries reach you at the right space and at the right time. You also need to communicate with your employees and ensure they understand procedures involved with the new space, from parking to building rules and layout. And last but not least, enjoy your new space! Move-in can be stressful, but with the right planning and preparation, the moving process doesn’t have to be a nightmare. And when those few unavoidable headaches associated with a big move do come, just remember that moving into an office or relocating to the right space is a great step for your business. The Lowcountry has become a premiere area for startups to launch and businesses to expand. In fact, the Holy City ranks 27th on the Forbes list for the “Best Places for Businesses and Careers.” As a result, many businesses are eager to call the Charleston-area home. If your organization is looking to relocate to or within the Lowcountry, here are a few tips for finding the perfect office space. First and foremost, you need to know how much space is required for your operations to run smoothly and your employees to work comfortably. Find a space that can accommodate your business now, and that may have room for growth if you are just starting out or expect to expand within a few years. 1,000 square feet for every four to six employees is a typical rule of thumb. And don’t forget about storage space for materials and supplies. It’s also necessary that you determine how much your business can afford to pay for office space. Set a budget with a little bit of wiggle room, and narrow your search to spaces that fit your budget. You may be able to negotiate price and terms, but with a high demand for space in the Charleston area, you shouldn’t count on being able to negotiate in order to fit your budget. With about 35 people moving to Charleston each day, traffic in the area has become quite congested. While it will be impossible to find a space with only a five minute commute for all of your employees, be considerate and try to choose a centralized location that is relatively convenient for most of your employees. When researching office spaces, the Internet is a great resource. However, you may think you’ve found the perfect space in your online research only to find that in person the building isn’t well maintained or the space isn’t as big as you expected. That’s why it’s important to have multiple options and to actually visit each space. You may find that your last choice ends up being the right one! Coworking spaces have become a popular trend in business, especially for smaller organizations or those working with a tight budget. There are multiple coworking spaces available in the Charleston area, offering a range of office space options for individuals and organizations to choose from. If possible, try to talk to the space’s current tenants or other tenants in the same building. Ask how the space has worked for them, what they would change if they could, and other questions about their experience in the space and with the landlord. Tenants may also have inside information and tips about traffic in the area, or nearby restaurants and activities. The Charleston real estate market is on a roll these days, with the population rising and businesses moving in to take advantage. In fact, Charleston’s population is growing at three times the national average. As a result, properties are going quickly. If you’re interested in owning property in the Holy City, you should act fast. The following are just a few of the benefits of owning a property in Charleston. The Charleston economy is growing in practically every sector. The economy is now diversified among business, manufacturing and development, the health industry, and more. Manufacturers like Boeing and Mercedes have helped expand the manufacturing industry and provide jobs. With Charleston ranked as one of the top tourism destinations in the U.S. – and named Travel + Leisure’s best city in the world in 2016 – the visitor industry has continued to remain strong. The area population grows at a rate of 48 people per day, making the area a hotspot for new developments and business expansion. The manufacturing, commercial, and residential markets in Charleston are doing great and expected to continue on a positive trend. Many are choosing to buy property instead of renting due to high rental rates. Because the market is doing so well, we may soon see a shortage in property until development catches up. The key to taking advantage of the Charleston real estate market is to act quickly. With development going strong, a lot of great spaces are opening up all over Charleston – on the peninsula and beyond. These spaces are designed to give Charleston residents and visitors a unique experience that takes advantage of the area’s residential and retail markets. 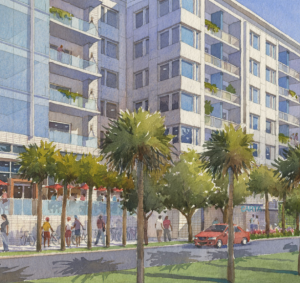 Some developments offering both commercial and residential spaces are 601 Meeting and WestEdge in the heart of downtown and Central Island Square on Daniel Island. The expanding job market and the opportunities it provides are another benefit of owning property in Charleston. In 2016, one of every four jobs created in South Carolina was created in Charleston, and job growth is expected to increase. With a growing startup and tech communities, Charleston is becoming an innovation-based job market. It’s an exciting time for business and job growth in Charleston, and office space is going quickly as a result. Developers are looking to keep up with the upswing in employment opportunities and company growth, so business owners should keep an eye out for Charleston spaces. Charleston’s economy and real estate market are expected to continue on positive trends, with the city continuing the economic growth it has experienced for decades. 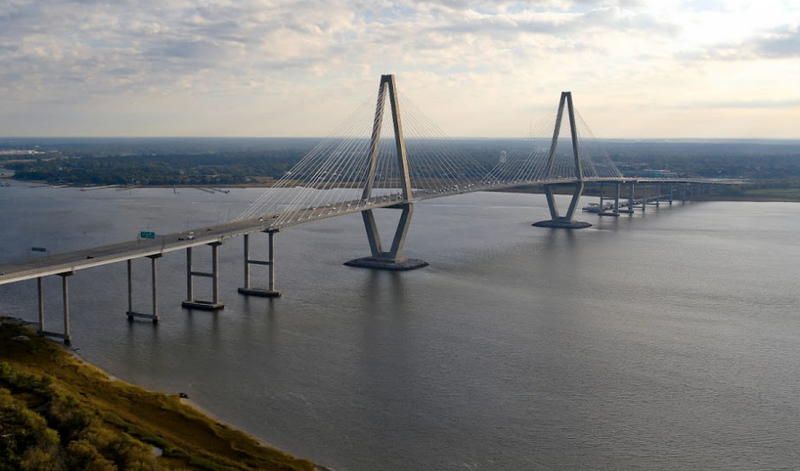 If you have been considering buying property in Charleston, now is the time to take advantage. It’s no secret that Charleston has been booming over the last few years. From advances in industry, development, and business, both Charleston’s economy and population are growing. With new people flocking to Charleston and new business developing, the Holy City is seeing steady commercial growth, and with good reason: one study ranking the best cities to start a business in 2017 found that out of 358 metro statistical area, Charleston ranked number 82. Downtown Charleston has become one of the prime spots for businesses and retail stores looking to get in on the city’s successful growth. Here are a few of stores and businesses that are planning expand to or break ground in Downtown Charleston. “Fancy food court” and incubator space Workshop by Butcher & Bee owner Michael Shemtov and chef Jonathan Ory will be opening soon at 1503 King Street. Workshop will play host to six rotating kitchens and dining concepts, letting visitors experiment and get a taste for different chefs and food vendors. The space features both indoor and outdoor seating and can accommodate more than 300 people. Vendor occupancy will range anywhere from 1 to 5 months. Also coming to the upper peninsula at 1505 King Street is the Pacific Box and Crate development from the Raven Cliff Co. 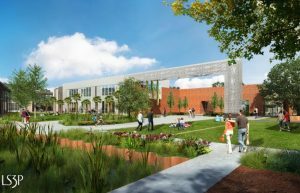 Sitting on ten acres, Pacific Box and Crate will provide 130,000 square feet of office space spread across three buildings. Pacific Box and Crate is designed to be a space not only where businesses can prosper, but also a place where Charlestonians can come to have a coffee, grab dinner, or even take a yoga class. Tenants are already planning to move into the space, including growing ventures like The Harbor Entrepreneur Center, CrowdReach, and PhishLabs, which moves into a larger space in anticipation of adding 45 new jobs over the next year. Edmund’s Oast also plans to open a brewery and restaurant in the space. Areas surrounding Upper King Street and the upper peninsula are seeing drastic changes due to redevelopment and revitalization efforts. Many of these projects focus on bringing businesses to the area, from tech and industry companies to restaurants and stores to create an area where work and fun go hand-in-hand. Many of these efforts are a part of the Charleston Upper Peninsula Initiative. The goal of the Upper Peninsula Initiative is to revitalize and redevelop the Upper Eastside of the peninsula into an innovative urban community. 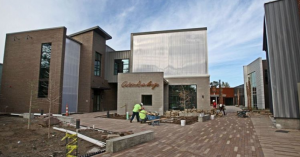 Development projects include startup incubator Flagship 3, office and living spaces, and more. Existing office spaces and restaurants like goat.sheep.cow.north and Lewis BBQ are examples of the successes the Initiative has already seen in developing the area. 601 Meeting and WestEdge are other developments that will provide space for new business and retail ventures in Downtown Charleston. The area is constantly evolving and changing, and businesses from tech to retail are looking to get into the Charleston market. Thanks to the constant flow of tourists and loyal local patrons, retail in Charleston is always growing. But as the Holy City continues to attract retailers from all over, finding the right space may prove difficult. As a result, developers are coming in to create new space and expand retail to the edges of the peninsula and beyond. Keep an eye out for some of these hot new spots for retail space in Charleston. Coming to Daniel Island later this year is Central Island Square, a development of luxury apartment buildings with prime street front retail. With wide sidewalks lining retail space and a large outdoor courtyard, Central Island Square will be the perfect place for the Daniel Island community to come together for their shopping and dining needs. Central Island Square is expected to be completed in fall of this year. 601 Meeting Street is one of the latest ventures in downtown Charleston development and revitalization of the upper Meeting Street area. 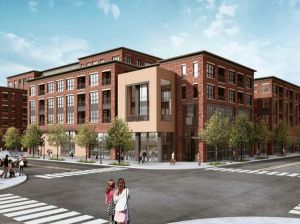 Located along Huger and Meeting streets, the apartment and retail space will offer approximately 16,000 square feet of street front retail opportunity. With 20’ ceilings and stunning steel and glass exterior, 601 Meeting will provide an exciting and striking presence for retailers. Downtown Charleston development will soon provide retailers with another exciting opportunity. WestEdge is a vibrant community coming to invigorate the medical and research district with a taste of the historic district. The community will provide living and working spaces along with opportunity for retail. WestEdge is designed to bring the best and brightest together to discover, collaborate, and thrive while providing an exciting living experience, expecting upwards of 50 new shops and restaurants. Developers expect completion of the grocery, dining, and shopping facilities in October 2018. Evening Post Industries and various developers have undertaken an long-term redevelopment plan to update the area surrounding its office. The Courier Square site will comprise the 12 acres surrounding EPI’s uptown Charleston office. While work has already begun, expect to see ongoing development and opportunities for space becoming available as this long-term project continues. Redevelopment of existing spaces has been a common trend in Charleston over the past few years, and the trend continues with West Ashley’s Ashley Oaks Plaza, located at the intersection of Ashley River Road and Wappoo Road. Developers plan to update the shopping center to focus on local retailers and businesses and potentially hold a large chain grocery store. West Ashley makes up half of the city’s population, and Charleston residents are ready to see the area upgraded and revitalized. The redevelopment of Ashley Oaks Plaza is just the beginning for the West Ashley area. When renting or leasing a space, most people think of interacting with a landlord when it comes to managing the property and dealing with any potential issues. But some properties have a property manager that negotiates and communicates with tenants rather than a landlord. So what exactly is a property manager, and what do they do? A commercial property manager in a nutshell is a steward of another’s property. The manager serves as a liaison between the landlord and tenant. The lease serves as the governing document in the relationship, and it is the manager’s job to ensure both parties comply with the terms of the lease document both parties executed. While the specifications and responsibilities of a property manager vary based on property type and terms of their contract, the following are just a few of the typical tasks performed property managers. There are numerous hats worn by the property manager, which can be divided into two different but related categories—the physical and fiscal aspects of the property. On the physical side, the manager inspects the condition of the property, hires and manages all the vendors and service providers, and makes recommendations for improvements and maintenance of the asset to preserve its value. On the fiscal side, the manager prepares the annual budget, collects tenant rent payments, pays all service providers and vendors, handles the banking and mortgage relationships, reports all financial activities monthly, and distributes cash to the owner as directed by the owner. Many of a property manager’s tasks are similar to that of a landlord’s. Unlike a landlord, however, a property manager does not own the property they manage. Property managers are hired to conduct the affairs mentioned above when an owner is unable to personally tend to them. Although property managers are not technically landlords, they still must abide by state landlord-tenant laws, acting as a sort of middleman between the owners and tenants of a property. The best commercial property managers are adept at time management, and building longstanding relationships with their tenants, owners, and vendors, which goes a long way to ensure the smoothest business environment for all concerned. In discussions about commercial real estate, you may have heard the perhaps unfamiliar term tenant representation come up. Tenant representation refers to the practice of a real estate agent or broker representing tenants when it comes to both locating and negotiating commercial leasing spaces. The real estate and business markets are becoming increasingly complex, and companies as well as individuals are looking to tenant representatives to help them navigate these markets. Whether renewing a lease or relocating, a tenant representative can help you find the best space for the best price, using their expertise to negotiate the optimal lease for your situation. When looking for a tenant representative, you should look for someone who is a market expert, a professional negotiator, and practiced in the process of leasing transactions. For the average person, successfully navigating the fickle real estate market is no easy feat. But a tenant representative, with intimate market knowledge when it comes to location, buildings and spaces, and common trends, can help you take advantage of opportunities and find the best options. You should also look for a tenant representative who has mastered the art of negotiation, using their market expertise to broker with landlords and owners. Representatives with strong, established relationships with landlords and building owners will also optimize your options and expedite the transaction process. Effective tenant representation goes beyond these simple, although important, traits. A tenant representative’s knowledge should extend beyond basic market research and skillful negotiation. Knowledge of certain disciplines like financial analysis, real estate law, demographic studies, and even architecture make the difference between an adequate tenant representative and an excellent one. Tenant representatives should also take the time to understand the goals and objectives specific to your company, the industry you work in, and how location and real estate work into your business. Finding the right location for your office or business space is an important task that can have long-term effects on the performance and success of your operation. In a time where markets are unpredictable and complex, using a tenant representative is the best way to ensure that you are making real estate decisions that will benefit your business operations.